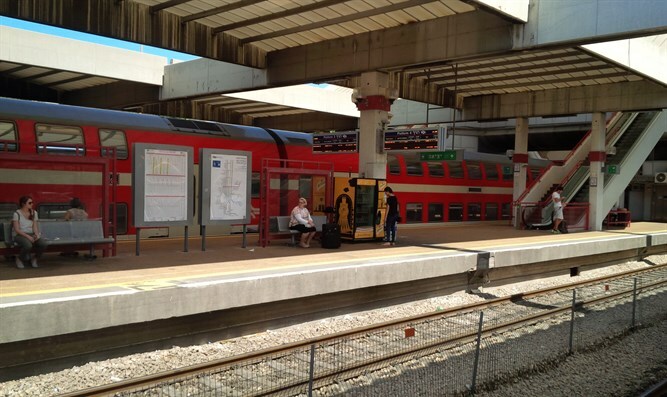 Netanyahu orders Shabbat work on train lines restricted to potentially life-threatening situations. Prime Minister Binyamin Netanyahu averted a brewing coalition crisis Friday morning, settling a government dispute over infrastructure work by Israel’s train system on Shabbat. The haredi parties, Shas and United Torah Judaism, had issued an ultimatum Thursday evening, demanding the Prime Minister restrict work by the state-owned rail company during the Jewish holy day. Giving Netanyahu 24 hours to comply, the two coalition partners, making up 13 of the government’s 67 MKs, threatened to bolt the government if their demands were not met. On Friday, Netanyahu capitulated to the haredi parties’ demand, ordering that only work in potentially life-threatening situations would be permitted on Shabbat. Jewish Home MK Motti Yogev welcomed the move, praising the Prime Minister’s decision. The Prime Minister also called for the establishment of an oversight committee to monitor infrastructure work by the Transportation Ministry and to maintain a clear channel of communication between the ministry and the haredi factions. The new body will also be charged with authorizing work on Shabbat that meets the criteria laid out by the Prime Minister. The committee will be chaired by the Chief of Staff of the Prime Minister’s Office, and will include the Transportation Ministry Director, Chief of Police, as well as representatives of the haredi parties.